This is a sponsored post on behalf of Mazola Corn Oil. All opinions are my own. It’s been a month of cookouts every weekend, and during the summer we enjoy lighter fare that matches the wonderful warm weather. We have been enjoying a lot of new and different recipes, but the one thing that’s been consistent across the board is our love of grilling with natural charcoal briquettes (I never realized that an old-fashioned charcoal grill is what gave that delicious smoky flavor), and using Mazola® corn oil for a better-for-you take on our favorite dishes. A recent study published in the Journal of Clinical Lipidology found that corn oil helps lower cholesterol more than extra virgin olive oil. In fact, corn oil has more cholesterol-blocking plant sterols than other cooking oils, and almost four times more than olive oil. It has a high smoke point, making it a great all-purpose cooking oil you can use for everything from sautéing, grilling, and even baking. 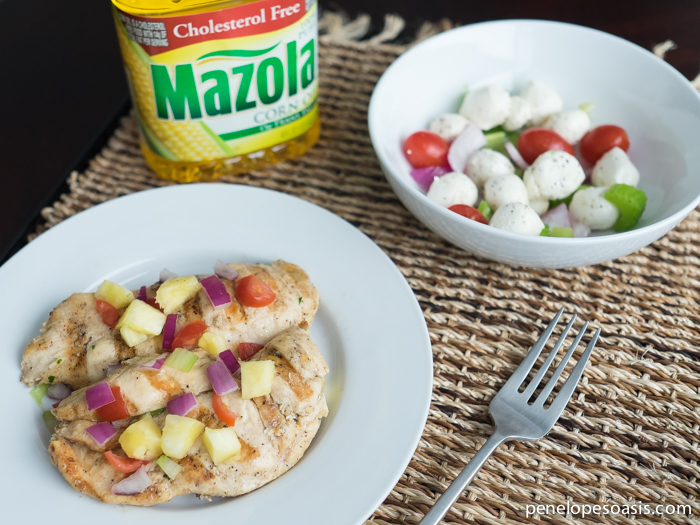 Mazola Corn Oil has a neutral flavor, so it brings out the flavors of the other ingredients without taking over…foods that naturally taste good will still taste good. We cook all sorts of meat, but lately, I am eating lots of grilled chicken. 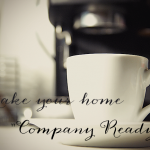 It’s delicious, better for you, filling, and divinely versatile. 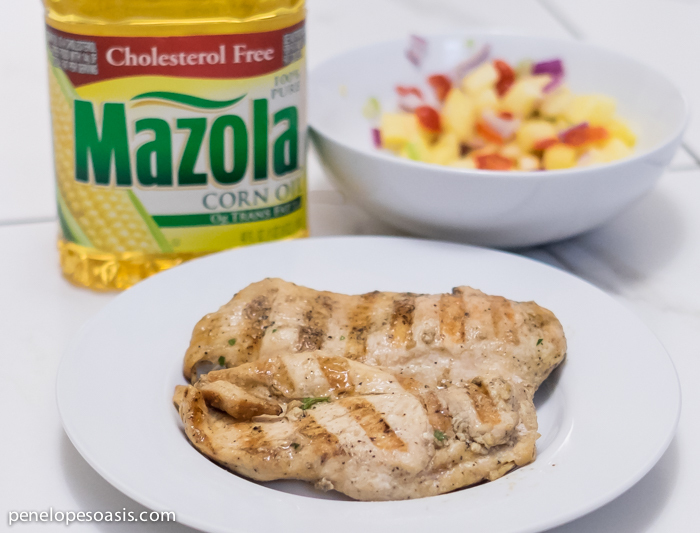 I found a recipe for Grilled Mojo Chicken with Pineapple Salsa on Mazola’s site, and it inspired me to recreate it with just a teeny twist of my own. 1. To make salsa- combine all salsa ingredients in a mixing bowl and stir to combine. Cover and refrigerate until ready to use. – Combine oil, orange juice, garlic, salt and spices in a small bowl and whisk until combined. Place each chicken breast is a resealable plastic bag and pour the marinade over the chicken, reseal bag, and set aside to marinate for at least 15 minutes. – Transfer chicken from marinade onto grill surface and discard marinade. Grill chicken for 6 minutes on each side or until cooked through. – Transfer chicken to a serving plate. Spoon pineapple salsa over grilled chicken and serve immediately. It’s light and delicious, perfect for any time of year but especially during these gorgeous warm summer evenings. 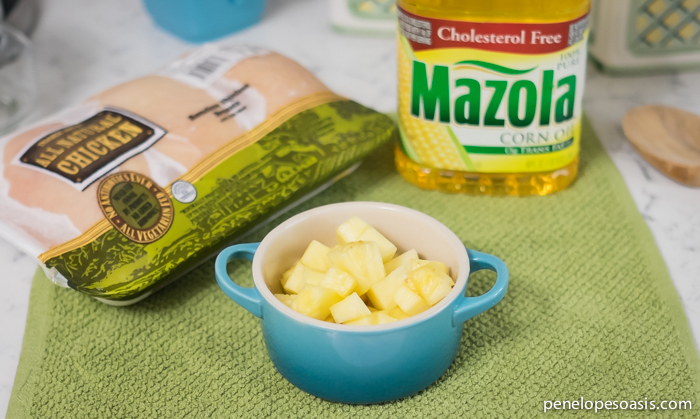 Find out more about the benefits of cooking with corn oil at Mazola.com. Looks great! We love to grill during the warm summer months. If I can avoid turning the stove or oven on, I am super happy! If that doesn’t scream awesome sumner dinner idea, I don’t know what does! It sounds amazing. That’s the perfect meal for the summer. It’s so simple and light. This looks so yummy! I generally make Mango salsa but I’m going to have to try pineapple salsa soon! Thanks for the great recipe! Sounds delicious, I pinned it to my “Recipes I want to Try” board! That looks so good! I love pineapple or mango salsa with grilled chicken. Yum! We spend a lot of time grilling during the summer, but it’s nice to have things other than burgers & hotdogs to prepare. This chicken looks fantastic, and that salsa is to die for! Pineapple salsa sounds so refreshing! I’ve done a fruit salsa before, but not pineapple. Love how healthy this is! Might have to make this for my family this week! YUM! Yum, that salsa would be awesome with chicken. It would probably be good with certain types of fish too. This sounds like the absolute BEST summertime recipe! I love anything that combines sweet and salty favors! This looks really good. Thanks for the recipe, I can’t wait to make this for dinner. Yum this looks so good! I am pretty sure I would love to try this so I may have to see if I can whip this up! I bet the citrus and spice combination is amazing! I love fresh salsa or chutney on top of a protein, especially if it has been grilled. OOh, pineapple salsa. That sounds so refreshing and a nice break from traditional tomato salsa. 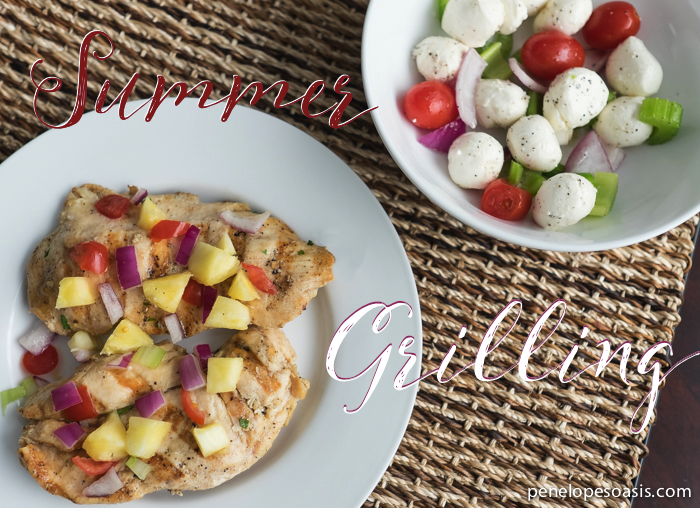 Grilled chicken is the perfect meal on a hot summer night! I love grilling with pineapple! Your salsa sounds like a delicious summer staple! This looks so delicious. I will have to try making this on the weekend. I am always looking for new chicken recipes. I didn’t realize corn oil can help reduce cholesterol. Will have to give corn oil a second look. And I absolutely love pineapple salsa. We have a lot of chicken in the freezer and this would be a great idea for some of it. We like to grill out and always looking for new ideas… thank you!. That chicken looks great to enjoy on a wonderful spring/summer day. Thanks for the great information on Mazola Corn Oil. The pineapple salsa looks so yummy with the chicken. I can’t wait to try it! These are the types of meals I enjoy best. Farm fresh and light. Looks delish. 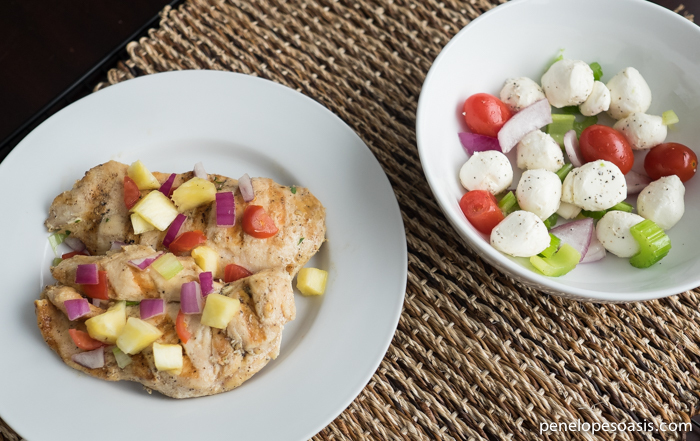 Pineapple salsa is one of my favorite toppings for chicken and pork, this looks great! That looks spectacular. Love the salsa. Yumm. That pineapple salsa looks amazing! I bet it is so good with the grilled chicken! I can’t wait to try this recipe out this Summer! The chicken and that side salad look absolutely amazing. Perfect for Memorial Day weekend! I just realized I have all the ingredients for this recipe. I can’t wait to try it over the Memorial Day holiday. Thanks! Living in Vegas means it’s always grilling season! This is on my list on new recipes to make! This recipe looks so fresh and light for summer. Can’t wait to try it out! This looks and sounds amazing! I love grilled chicken, but haven’t tried it with pineapple salsa.